So instead of splurging on A-list players, Beane hunts down players whose days are apparently behind them. Some have nerve injuries to their elbows, some are too old to play and others have a bad reputation behind them. The critics will rise against Beane and his experiment but he perseveres in an attempt to prove everyone wrong. Moneyball is based on a true story. 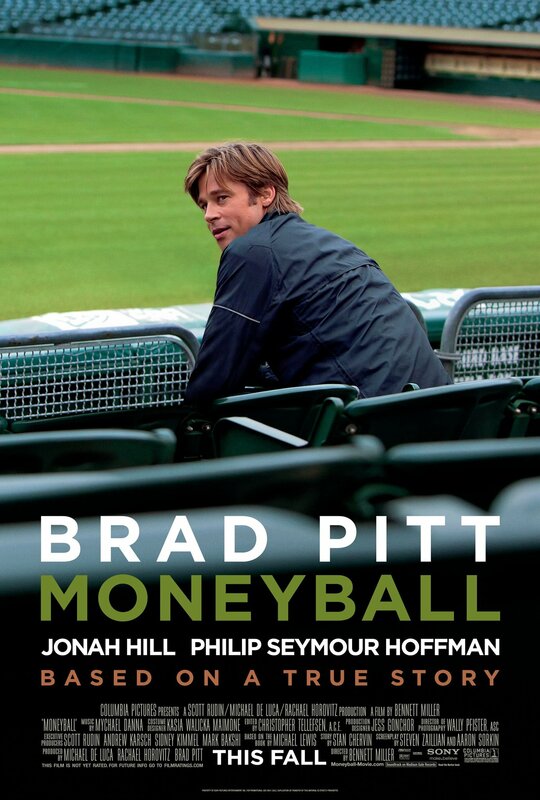 To say Brad Pitt delivers a tour de force performance as Billy Beane would be an understatement. I have not watched all the Oscar nominated actors yet but I can safely say that among all the actors who have gotten and are getting award-hype this season, Brad Pitt is without a doubt my favorite so far. 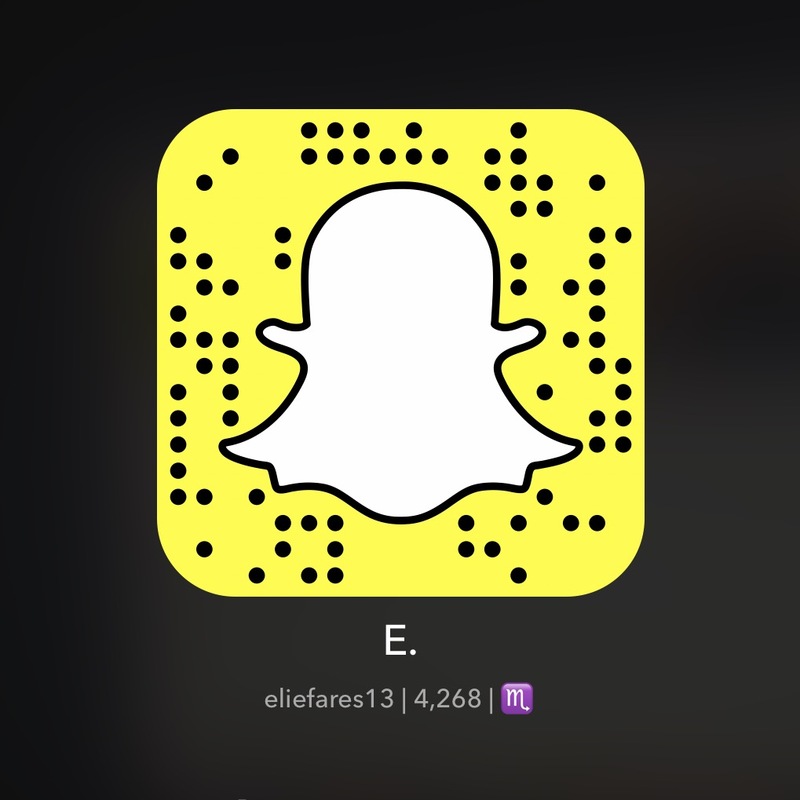 He’s being pitted against George Clooney in The Descendants (check my review) as the frontrunners. No offense to George Clooney but Pitt’s performance is lightyears better. It is more engaging, more thrilling, more interesting, more nuanced. It is exquisite. He portrays his character with the exact amount of strength and emotion that it needs. At times, he shows Beane’s fragile side as he faces the looming fear of failure and at other times, as he sits in the changing rooms behind the stadium, he shows undeniable resolve. Sometimes he shows both in one frame. You can actually say that Moneyball is Billy Beane and Billy Beane is Moneyball. The symbiosis between this character and the movie is that strong. Brad Pitt embodies Billy Beane perfectly. Jonah Hill is very interesting as well as Beane’s assistant. His performance has been rightfully nominated for many awards, including an Oscar. In fact, one of the driving forces for Moneyball is the chemistry exhibited on screen by Brad Pitt and Jonah Hill’s characters. Philip Seymour Hoffman, as the Athletics’ manager, is great as always in a more silent yet comical performance. Moneyball has a great screenplay as well, as only can be expected from The Social Network‘s Aaron Sorkin (check my review of The Social Network) and Steven Zaillian, responsible for this year’s The Girl With The Dragon Tattoo (check my review), to accompany the all star cast it enlists. The movie flows smoothly, never feels slow. And for a movie about baseball, a sport that I don’t particularly understand, it rises above the toughness of the game and turns this movie into one that is truly heartfelt, comical at times and entertaining throughout. At the end of the day, Moneyball isn’t a movie about baseball as it is about changing the game, defying the system and breaking the boundaries imposed by other people on you. It is a movie that defies the baseball genre in which many people categorize it and rises above every single other baseball movie ever made. In fact, Moneyball might even be the best sports-related movie ever made because it doesn’t dwell on the technicalities of the sports it portrays, it rises above it to show a humanitarian aspect that everyone can relate to. Alexandre Payne’s first movie in seven years is about Matt King (George Clooney), a Hawaii based lawyer and the trustee over his family’s pristine lands, worth in the billions of dollars, as they are about to sell. However, tragedy hits Matt’s family when a boating accident strikes his wife Elizabeth and she becomes comatose. It is then that Matt has to deal with his two daughters Scottie and Alex (Shaileene Woodley in a brilliant role), except that he always thought of himself as the “backup parent.” And after learning that his wife will never wake up, Matt has to set out on the path to say goodbye. But as Matt’s older daughter Alex reveals, her mother was having an affair with a real-estate agent named Brian Speer, with the intention of asking for divorce. 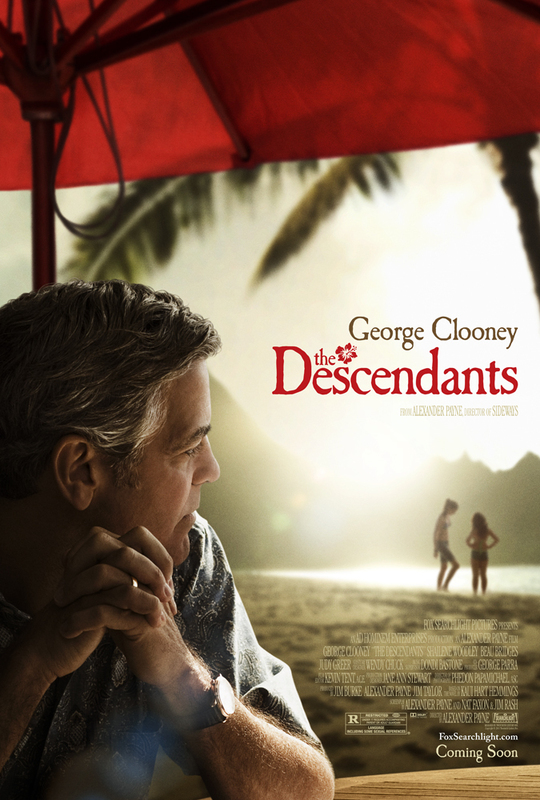 The Descendants then becomes Matt’s obsession with finding Speer, to see the man who was taking his wife away from him and to allow him the chance to bid her farewell. Telling it like this, The Descendants seem like a true tear-jerker, right? Well, no. The movie is flimsy. This is a movie that wants to confront painful truths about love, loss, family, yet there’s a sense of emotional brittleness present throughout. It attempts to build itself as an emotional tour de force for the viewer but comes crashing down without satisfying neither itself nor the viewer in question. Even the scene, which is supposed to be the movie’s highlight, of Matt talking to his comatose wife, seeking catharsis, ends flat amid all the emotional dryness of the previous acts. Perhaps The Descendant‘s biggest mistake, of sorts, is the fact that you can’t relate emotionally to the movie’s centerpiece: the wife who’s dying. After learning that she was cheating on him, you get disconnected from her character and, in a movie that is almost two hours, there isn’t enough character development to let you perhaps give her a reprieve, even as she lays in the hospital bed on life-support. George Clooney’s character is extremely like-able. His performance that drives this character is top notch, nuanced and engaging. And yet, you just can’t bring yourself to care for anything he does, which is more of the shortcomings of the story around which his character is built. The story alludes to his shortcomings as a father, husband, and yet never showcases them. He is the man hurt by his wife’s betrayal as he tries to say goodbye and deal with the responsibilities his new situation has forced on him. But it’s just not convincing enough. The movie is centered around him. You end the movie not knowing anything more than what you did as the movie started. And it’s just that… The Descendants may be a good movie in absolute value but its heart and your heart regarding its characters are as far apart as it can get. It tries to be sentimental but it turns out to be comical. And when it tries to be comical, it comes off as satirical. I doubt Alexandre Payne wanted his first movie in seven years to be such a mess. It’s a shame, really, especially with all the acclaim it’s been getting. If you’re like me and had no idea what “Ides of March” meant until after the movie, it’s interesting to note it’s Roman for the 15th of March. The Ides of March is the story of the days leading up to that day, on which a heavily-contested Ohio Democrat primary is supposed to take place between governor Mike Morris (George Clooney) and senator Pullman. Morris is the frontrunner but not by much. He is easily able to inspire many by his rousing speeches and his ability to draw empathy out of his audience. He is seen by his campaign managers as the best candidate to ever grace the US political scene up to the point where they’ve come to believe they cannot be disappointed by him. The movie itself is highly engaging. It has a dark, somber mood to it that doesn’t let down from the get go, making it highly enriching for you to sink your senses. The movie sets itself as a political drama from the first minute and stays as such for the course of its ninety minute run. Scene after scene, the movie builds the tale of how Americans elect their leaders. It forms a plot of corruption that goes on behind scenes we can never see and it illustrates the brutality of people towards each other – how in politics, playing everyone is key to survival. This teaches the main character, Stephen Meyers, an invaluable lesson, one that he wished he’d never learn: to reach places in the political world, you have to give up your basic principles in life. And seeing Meyers transform from the utopia boy at the beginning of the movie to the pragmatic man at the end is a very engaging journey. 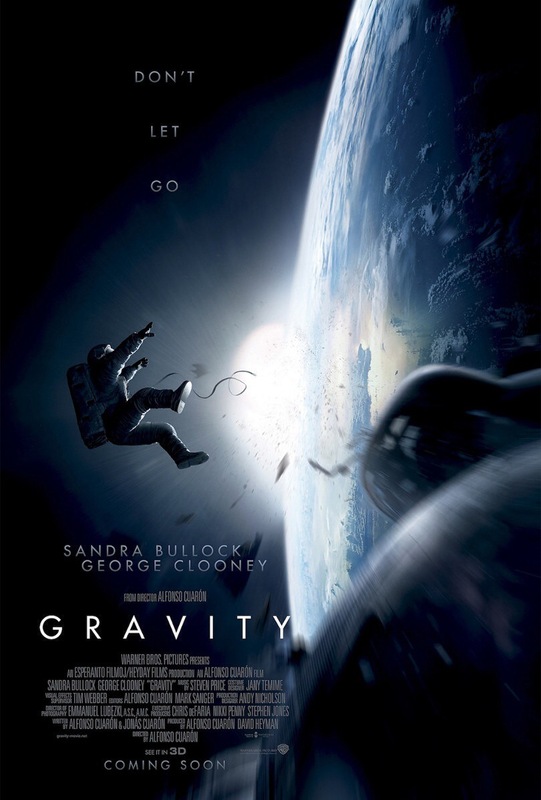 The acting in the movie is top notch, as is expected from Ryan Gosling, Philip Seymour Hoffman and George Clooney. As mentioned previously, Gosling provides the movie’s crux when it comes to the acting with the other actors and actresses coming in as accessory to his story. You can sense his anger when he is so, you can feel his sadness when he’s devastated. He slightly reminded me in The Ides of March of his outstanding performance in Blue Valentine, although this still doesn’t come close to that. George Clooney starts off by portraying a leader you all want to follow: one that shouts integrity and honor and respect. His speeches captivate you, his ideas engage you… and sooner or later, with the twists in the story coming to surface, the leader loses that gleam of pride in his eyes and he becomes someone you can’t but run away from. The transition is performed very subtly by Clooney. Philip Seymour Hoffman is the angry campaign manager whose goal in life is to get Morris to the White House. And as is expected from Hoffman, his performance is top notch. The script, co-written by Clooney, is very sharp and that is overly obvious by the way it flows and by the realism it exudes. It’s so realistic, in fact, that it could have easily been a conversation between a bunch of people prior to any elections. The movie has many of the issues people discuss and these issues have been weaved into a highly interesting political movie canvas that doesn’t come off as preachy or trying to convince you of one point or another. Clooney, as a director, provides good subtle nuances. One particular scene that comes to mind is one where Morris is delivering a speech on one side of the American flag, while Gosling and Hoffman are panicking about the campaign on the other side. Such scenes, although mostly go unnoticed, reveal a high attention to detail, one that you cannot but credit. 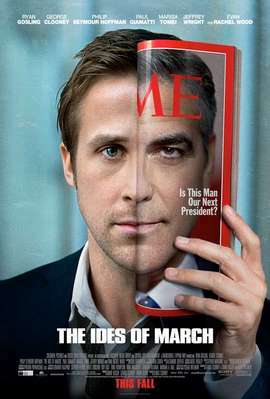 The Ides of March, however, is far from being perfect. Sure, it’s highly engaging. But the twist in the movie is highly predictable, which ultimately makes the plot more on the deja-vu side, but it’s the kind of deja-vu that remains interesting. And even though you feel connecting to the characters on screen, towards the end of the movie you get disconnected from everyone as they change to characters you don’t want to relate to. The movie leaves you with an ending that feels lacking. You want more mostly because you want to feel that this man you cheered for is better than what he turned out to be. At the end of the day, The Ides of March remains a highly realistic movie that is sure to please anyone with an interest in politics in general and political movies in particular. It’s a very tightly-produced drama that doesn’t ask much of you except to concentrate and watch, ultimately inherently asking fundamental questions about the values of democracy we all consider a given.